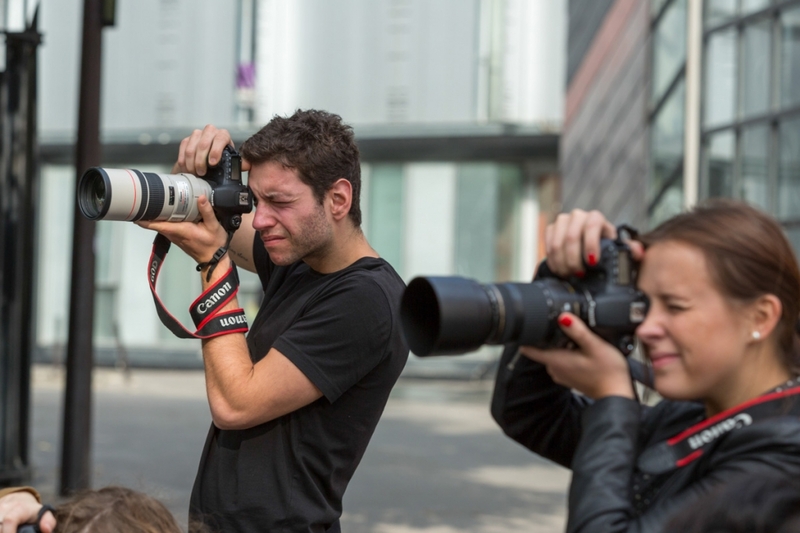 Spéos offers professional training covering all domains within the photography profession. Studio photographer: fashion photographer, beauty, portrait, still life or culinary. Photojournalist: news or documentary photographer. Photographers are witnesses of historical, geographical, cultural, commercial or fashion developments — or simply the magic of a particular moment in time. Fixed in an instant, their image can become a timeless part of a collective memory. Its influence might even become worldwide. From the outset, Spéos has defined its training programs to allow the future photographers the best preparation possible to succeed within an increasingly international profession. These days, we’ve learnt to master the digital technologies in the field of photography: we know which equipment and softwares to use, so as to obtain a given result. Photo gear has become mutually compatible. Color management and cutting-edge printing techniques are regular components of the curricula taught in most photography schools – first and foremost at Spéos, who had the role of a pioneer with regard to passing on “digital knowledge”. The challenge for the professional photographer thus lies elsewhere: so as to succeed, digital technologies need to be combined with commercial and marketing skills. Any successful photography business is based on the publication and transmission of images via the net, web-based image banks or social networks. Thus, to caption photos systematically and combine them with search-optimized keywords are both the main challenge and the key to success for today’s photographer! This increasing visibility on the web results in significant changes within the business relationship between photographer and client: although the presentation of a portfolio still is of utmost importance to establish and maintain a client network,it is increasingly common for clients to directly search for photos – and their authors – on the web. Web presence thus sells – and does so more and more often! While prices have indeed significantly decreased in recent years, the internet has opened up innumerable new opportunities. For example, the accessible pricing of professional photos, combined with the timely delivery of finalized products (such as posters or personalized books printed in small quantities), as well as the fairly easy creation of websites within a reasonable budget, make this kind of advertising accessible to small companies that could not afford it until now. With the new digital tools for photographers, new markets thus open. To make good use of them, will be one of your main assets with us at Spéos!